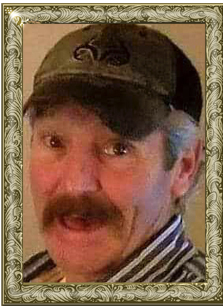 Mr. David Lee Dales, 52, of Raintree Park Road, Hiddenite, passed away Sunday, January 20, 2019 at Wake Forest Baptist Medical Center. Mr. Dales was born March 10, 1966 in Buchanan County, VA, the son of the late Luther Bural Dales and Jonnie Mae Johnson Dales. He had worked as a diesel mechanic for Freightmaster in Hiddenite for 25 years and just recently opened his own garage business and he was of the Holiness faith. Working on big trucks was his life. He enjoyed spending time with his friends and family especially the grandchildren. Including his parents, he was preceded in death by: a brother, Dennis Dales. Those left to cherish and honor his memory include: his wife of 31 years, Vickie Dales; three sons, Christopher Lee Dales, Justin Shawn Dales, Joseph Patrick Dales all of Hiddenite; two grandchildren, Jayden Shawn Dales, Landon Christopher Dales; five sisters, Kathy Chafins and husband, Tim, of Swords Creek, VA, Rebecca McClanahan and husband, Steve, of Hiddenite, Stella Dales of Raven, VA, Mary Meadows and husband, Doug, of Paintlick, VA, Linda Lester and husband, Ronnie, of Richlands, VA; a brother, Sidney Dales and wife, Lisa, of Lenoir; very special friends, Helen and Dean Gentry, Barry, Terry, Bob and Charlie Johnson, Paige and Chris Millers, Randy Sweet, Norman Howell, Lynn “Smily” Warren, Beth and Bobby Mounts and all of his trucker friends. A gathering of friends and family will be held on Saturday, January 26, 2019 from 4-8 p.m. at St. John Lutheran Church on Hwy 16 South in Taylorsville. Adams Funeral Home and cremation services is honored to be serving the Dales Family.